Get a free HLD-9 Battery Grip! Fast sequential shooting: Experience sequential shooting that surpasses SLR cameras by far. The E-M1 Mark II provides both S-AF and C-AF at an amazing 20.4 high-definition megapixels rich with detail. Thanks to parallel processing, even fast-moving subjects in up to 60fps look clear and sharp. Choose exactly when sequential shooting should set in with Single AF (S-AF). 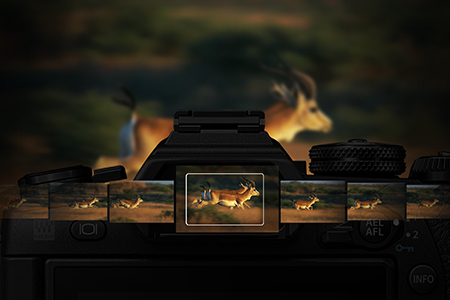 As long as the AF/AE function is locked in, the E-M1 Mark II will take up to 60fps while you follow any fast-moving subject with the Electronic Viewfinder. All images are captured in full resolution RAW format. Keep shooting carefree with Continuous AF (C-AF). The AF/AE tracking function keeps an eye on the subject at all times to give you up to 18fps whenever you notice that the moment is right All images are captured in full resolution RAW format. The more the better, especially when it comes to tracking information that’s reliable. 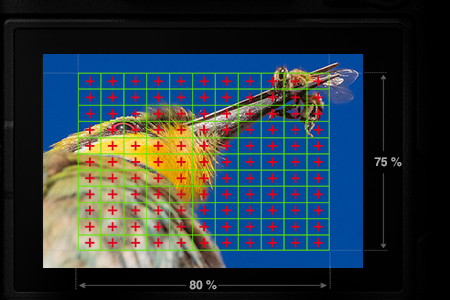 That’s why the E-M1 Mark II’s On-Chip Phase Detection AF uses an amazing 121 points in an all-cross type layout. 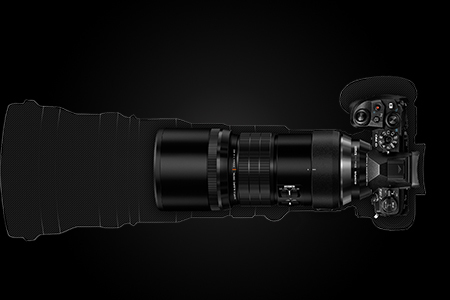 Even with the super-telephoto M.ZUIKO Pro lens attached, the E-M1 Mark II is more compact and lightweight than DSLR cameras to provide easy hand-held shooting with more freedom. 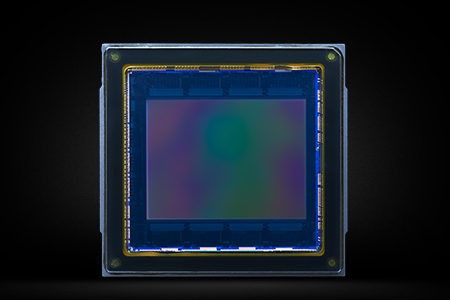 This new high-speed, low-consumption sensor boosts pixel optics to deliver rich gradations and improved image quality, also for high-sensitivity shooting. This is complemented by the anti-reflective AR Coating to reduce flaring and ghosting directly on the sensor. For even higher resolution, there’s 50M High Res Shot: eight shots are combined to generate a single high-res photo equal to 50M. The E-M1 Mark II is also equipped with this new image processor, employing a double quad-core system and dedicated AF processing. 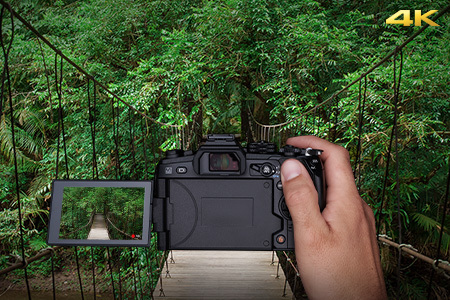 Together with the 20M Live MOS sensor, they provide the power behind the thrilling autofocus speed and image quality. Compatible with 4K (3840 x 2160) and C4K (4096 x 2160), the E-M1 Mark II is also ideal for authentic movie production. With an option of a 30P or 24P frame rate, with a max bit rate of 237Mbps, you are able to record in the digital cinema standard for 4K. Shutter noise and all electronic sounds can now be shut off to deliver completely silent shooting. 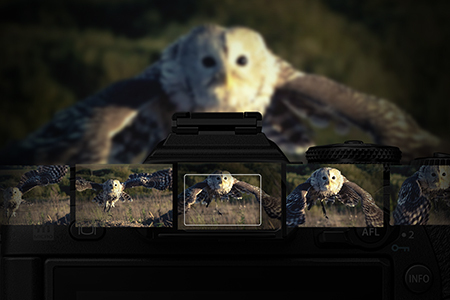 This enables you to capture wildlife such as birds without making a sound. 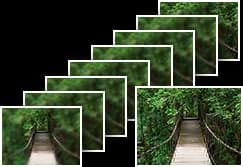 Especially useful for macro shooting, this feature lets you take several photos of the subject and then stack them to create a single image with edge-to-edge clarity. /- 5 EV (1, 1/2, 1/3 steps) Note: Monitor and EVF displays only up to 3 EV. 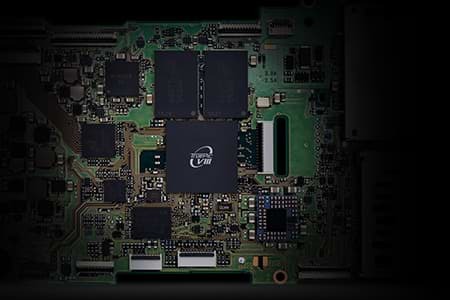 Memory card: TOSHIBA SDHC UHS-II R95 W90 EXCERIA. When using the M.Zuiko Digital ED 12-40mm f2.8 Pro. Maximum sequential shooting speed may be affected by several factors including lens used, brightness, aperture, shutter speed, and ISO setting.. When ISO is 8000 or above, 30 fps becomes the maximum sequential shooting speed. The actual shooting speed may become slower than the set shooting speed by a few frames per second. When using ISO Bracketing, performance will be affected at ISO 2000 or above. Standard, Auto Switch, Dual Independent, Dual Same. When two cards are inserted, card to be saved on to or to be viewed can be designated. 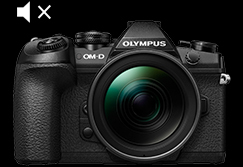 Receive a free HLD-9 Battery Grip when purchasing the Olympus OM-D E-M1 II. Promotion period runs 1st April to 30th April 2019!